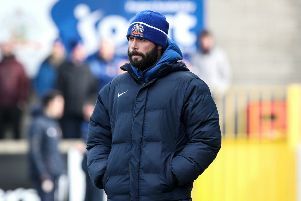 Shane McCabe scored his first goal of the season on Saturday to help Glenavon earn a point in the 2-2 draw with Warrenpoint Town. The midfielder was not entirely happy with his performance but felt it was a good point against a team proving difficult to beat. Hear what he had to say in our video interview.